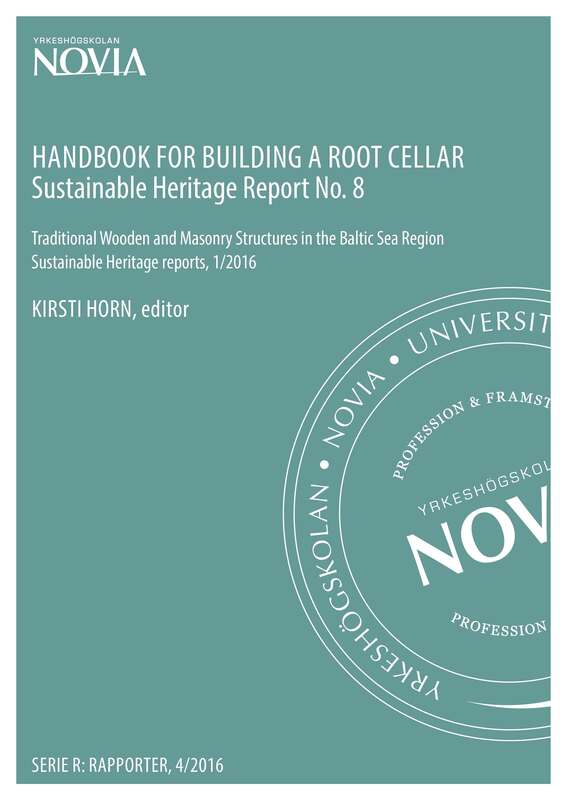 This report is about the art of building a vaulted root cellar. The project Traditional Wooden and Masonry Structures in the Baltic Sea Region is designed for students of architectural conservation, conservation of artefacts, structural engineering and site management from three universities in Sweden, Estonia and Finland in order to give them the opportunity to learn about the traditional materials in different parts of buildings. From the conservation point of view they learn how constructions and surfaces made of these materials are to be preserved in the best manner—more reports and views of the hands–on activities at various historic sites at www.sustainableheritage.eu—every course has had a different theme and they have been hosted by the three universities in turns. Students have been taught by expert craftsmen and given an academic background to each topic by teachers of the involved institutions. In addition to the pedagogical goals we cherish an idealistic wish that the performed hands–on work should contribute to the rescue and maintenance of our built heritage. This time the traditions were tested by constructing a brick vault on a new root cellar. The understanding and experience of vaulting technique should come handy in many restoration jobs.